§ Relevant associations of teachers and social educators. ETEN seeks and encourages cooperation with international partners. The standard working language is English. § Describe, evaluate and report all ETEN activities on the ETEN Website, in order to assure the quality of the Network. Every institutional member is to appoint an ETEN Co-ordinator, hereafter referred to as the "ECO". The ECO initiates appropriate actions at his or her member organisation represented in order to realise the aims of the Network and is the representative of the member organisation at the ECO Meetings (each September). The tasks of the ECO fall into three general areas of responsibility: facilitating student and staff mobility, serving as the contact person between ETEN and the member institution, and promoting international projects. A list of ECO responsibilities will be provided to each new ECO as part of a welcome package which will be given to the ECO when an institution is accepted for membership. The ETEN Board represents ETEN in external matters and coordinates internal affairs between ECO meetings. Also, the Board organises the official meetings. The board consists of five members, which include the Chairperson, a Treasurer and a Secretary. To avoid a complete change of Board Members in any one year elections take place annually with two Board members elected one year and the other three members elected the following year. The Board will meet as necessary. § Individuals who choose to notify ETEN of their intention to run for the Board before the meeting may submit a 1 page biography/statement to the ETEN secretary. The ETEN secretary will email the candidate's biography/statement to the ECOs of all ETEN members. § Only eligible ECOs (1 per institution) will be allowed to vote. ECO and TIG leader meetings are held twice a year in April and September. The Board and any ECO can suggest items for an ECO meeting. Suggestions for items from ECOs should be received by the secretariat no later than 6 weeks before an ECO meeting. The agenda for an ECO meeting should be sent out by the Secretariat and received by the ECOs no later than 3 weeks before a meeting. At the meetings the member institutions have one vote each. All decisions are to be agreed. If unable to attend an ECO meeting, an ECO is responsible for nominating a replacement. ECO meetings are open to ECO's accompanying colleagues. Groups of participants who are interested in a specific theme are called Thematic Interest Groups, or TIGs. TIGs are open to all participants who can contribute to the work. Each TIG is encouraged to use all of the co-operation possibilities to develop its work. It is of great significance for the development of ETEN as a Network that staff of ETEN members can meet to discuss subject-based issues. Relevant guests from outside ETEN are invited to take part in the conference. The ETEN TIG-based Conference each April is a platform for TIG Seminars, each presenting their reports and future activities. The ETEN TIG-based Conference is held each year in connection with the ECO April Meeting. This Conference can be a forum to provide new research and actual development, theories, knowledge, experience and ideas concerning the development of educational practices. The Conference should be introduced through a powerful theme. It may present a key speaker with an international profile followed by a plenary for discussion, questions and comments. The rest of the conference takes place as TIG seminars and might be inspired by the key speaker. The theme of a TIG-based Conference is decided in co-operation between the Board of ETEN and the ECO of the arranging member institution not later than one year before the conference. The arranging ETEN partner makes the necessary arrangements, including signing a contract with a key speaker. § Subject-based academic or other relevant staff exchanges at a bi-lateral level. § The TIG leader has to ensure that the TIG has a stand-in leader in case the TIG leader is unable to fulfil these responsibilities. § Subject-based academic or other relevant staff exchanges or other concerning, actual topics. The duration of a TIG-based conference is normally two days. To insure the on-going vitality of TIGs, the number of TIGs and the number of their members are regulated on a supply and demand basis. Thus, if, in two consecutive conferences, a TIG has fewer than five members, it will be considered closed. If a new TIG is formed, it will be exempt from this membership requirement for the two conferences following the date of formation of that new TIG. The Network programmes operate through a series of bi-lateral institutional agreements monitored and revised according to need. The ETEN co-operation programme is to stimulate groups of ETEN partners to apply for funding from appropriate agencies. Information and Communication Technology should be used in accordance with the different activities of the Network. The general procedures and commitments are student mobility, staff mobility and publications. Student mobility takes place in accordance with bi-lateral institutional agreement and may vary per institutional exchange. The visit of staff members from ETEN partners is to be effected on the basis of selection by the home organisation according to the needs and requirements of the host organisation. The results of ETEN Activities and associated papers are published on the Web site (click on PUBLICATIONS). ETEN is responsible for the publishing the on-line publication JETEN. At the Web site there are guidelines and editing procedures for ETEN publications. 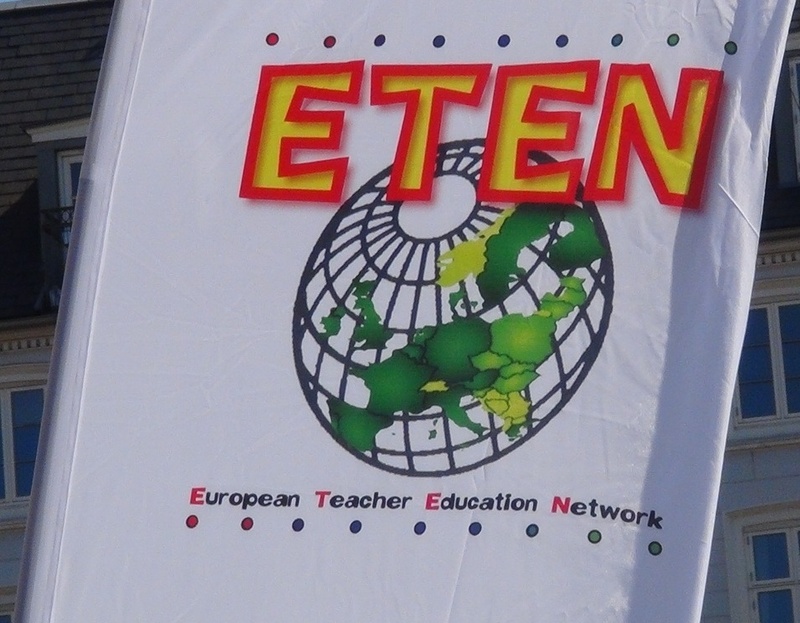 § ETEN membership is open to Universities, Higher Education Colleges and Advanced Education Institutions, educating and training teachers and/or social educators, local educational and social authorities, and relevant associations of teachers and social educators. To widen the co-operation perspectives, the Network also comprises ETEN members from outside Europe. § Admission can take place through application or invitation. § Application for admission is to be addressed to the Secretariat. § The Board will decide whether or not to invite potential members to an ETEN meeting as guests to present their organisation. § The final decision whether to accept an applicant will be decided by the Board in consultation with the members. § The educational ETEN members should use the ECTS (European Credit Transfer System) or other similar systems. § An applicant is involved in education or training teachers and/or social educators on nationally recognized programmes or represents additional fields of expertise within education. § An applicant must be able to document in which academic discipline the she or he is engaged or if she or he has special experiences, which can be offered within the ETEN co-operation. § Staff and students of the members must be able to understand and speak English at such a level that it is possible to exchange experiences and opinions in a professional and educationally relevant way. § An applicant must be ready to earmark the necessary resources to join the ECO-TIG Leader meetings each September. § The ETEN membership agreement is entered into for a period of two years, from January 1st and shall be extended automatically unless notice of cancellation is given to the Secretariat before January 1st. § Affiliate membership status shall be granted to individual schools and other organizations that do not qualify for regular membership under Article 6.1 but which have aims that are consistent with those of ETEN and which are nominated and recommended by a regular ETEN member. § Affiliate members will be granted full access to the ETEN website and to all resources afforded full members. § Affiliate members may send a representative to all ECO-TIG Leader meetings, and may also share their views and opinions at meetings. However, such a representative may not cast a ballot on any matters brought to a vote, including elections. § Affiliate members may attend the ETEN conference and submit proposals for presentation. § Affiliate members may also have their papers selected for publication in the JETEN journal. § Affiliate members cannot be elected for the Board in ETEN. Application for Affiliate Membership will be the same as for regular members. To support ETEN, former ECOs, TIG Leaders, and others who have been active within ETEN and are retired from their respective institutions can join the ETEN Alumni. Alumni members have the possibility to meet every year in connection with the TIG-based Conferences and have the possibility of attending the ECO-TIG Leader meetings with no voting rights. In order to meet the costs of administering the Network, each partner and affiliate partner is to contribute an annual membership fee, to be fixed at each September meeting. Affiliate partners will pay 75% of the fee of regular members. The fee is calculated according to a scale based on the GDP of the country to which the member belongs. The scale refers to the rankings from the International Human Development Indicators (CLICK HERE to check your country's rank). There are three levels of fee: Full fee (Ranks 1-39), half fee (40-78) and one sixth fee (79 and higher). The Board is to propose the fees for the coming financial year at the September ECO and TIG Leader Meetings. The Secretariat consists of the Board Chairperson and the ETEN Secretary. The latter, unlike the Board Secretary, has an overall remit within the Network. The duties of the ETEN Secretary and the associated costs are decided by the Board.